Create a standout look in every room of your home when you add a new set of luxury vinyl tile in Sugar Land, TX, from our local showroom. At our store, we carry an extensive selection of luxury vinyl tile floor products that are available in a full array of colors and styles. Whether you are looking to upgrade your bathroom, kitchen, or entryway, we have the perfect product to fit every space. Shop with us today to discover how vinyl floors can make your rooms stand out. No matter what your personal style preferences are, there is a product option for you. One of the great advantages of LVT flooring is that this material is available in a complete range of colors and styles. Simply choose a color that complements or contrasts with your dining room. Select an appearance, such as ceramic, stone or wood that sets off your grand entryway with style. With our selection of these flooring products, it is easier than ever before to achieve your design goals. With all of the options to choose from, it can be difficult to make the right choice for your flooring needs. Fortunately, our team is here to help you. Our flooring specialists are available to meet with you to discuss each of our products. Whether you prefer a classic or contemporary style, you will find something you love when you shop with us. Let our flooring specialists help you find the color and style of vinyl tile or plank that matches your home perfectly. We take your requirements and desires into consideration. If budget is of prime importance, we work hard to find the best deal for you. If matching luxury vinyl tile to your décor is your main concern, we bring out the sample books and show you the choices available at our showroom. You can also take samples home with you to determine what will look right in your space. Our goal is to provide you with the services you need in order to create the home of your dreams. 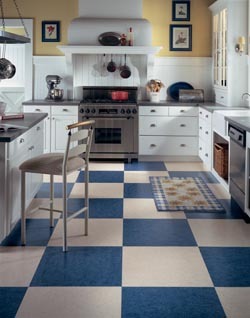 Once you have decided on the right luxury vinyl tile for your home, turn to us to complete your remodeling for you. As part of our commitment to deliver the leading standard of service to every client, we are proud to offer complete installation services for our products. These services are designed to save you time and energy while also ensuring a smooth installation in any room. When you work with us for your luxury vinyl tile installation, you can count on us to complete your job the right way the first time. Our expert installers have extensive experience working with all types of materials. With this knowledge and expertise, we work hard to deliver a top quality result for your projects. During your services, we ensure that every tile is placed properly, for a look that lasts for many years to come. Our flooring specialists in Sugar Land, Texas, take your requirements and desires into consideration. If budget is of prime importance, we find the best deal for you. If matching luxury vinyl tile to your décor is your main concern, we bring out the sample books and show you many, many choices. You can even take samples home with you to help you decide. Add value, beauty, and convenience to your home when you shop with us. Because luxury vinyl tile is made from durable materials, these flooring options are built to last. Whether you have children, pets, or other sources of heavy foot traffic, you will not have to stress over damage occurring to your floors over time. From scrapes and scratches to cracks and stains, vinyl flooring will hold up to all types of damage. Is it time for a style upgrade in your home? No matter what theme you are looking to create in your space, choosing LVT will help you achieve all of your style goals. This flooring material is available in styles that mimic the look and feel of high-end fashions, including hardwood, ceramic, and stone. From bathrooms to bedrooms, every room will shine when it is outfitted with one of our stunning floors. When you own your own home, you have enough to spend money on without worrying about the cost of a remodeling job. With the selection of luxury vinyl tile floor products from our local showroom, you will never have to sacrifice quality just to save a few dollars. Our inventory includes affordable options that fit every budget. If you are ready for a new look at your home, you may think your only option is to perform a lengthy and expensive remodeling project. However, switching out your flooring is an easy and affordable way to breathe new life into your kitchen, bathroom, or other area. Our sales team is available to help you choose the right product for your space. With us on your side, you will make a smart investment in your home. Contact us to shop with our sales team for your new luxury vinyl tile flooring. At our local showroom, we carry luxury vinyl tile floor products for clients throughout Missouri City, Stafford, Fort Bend, Rosenberg, and Sugar Land, Texas.